The idea of rearranging and redecorating my office had been on my mind for a while, the room was painted white years ago and apart from buying furniture nothing else had been touched in the room. But, the conversation of buying a new house was one we were having a lot so I put off doing anything for a while just in case we did seriously decide to move as obviously, there was no point in redecorating only to leave it a few months later. After we came to the conclusion a couple of months ago we weren’t quite ready to move (I wasn’t ready to leave the beautiful bathroom we’d only just had fitted either). 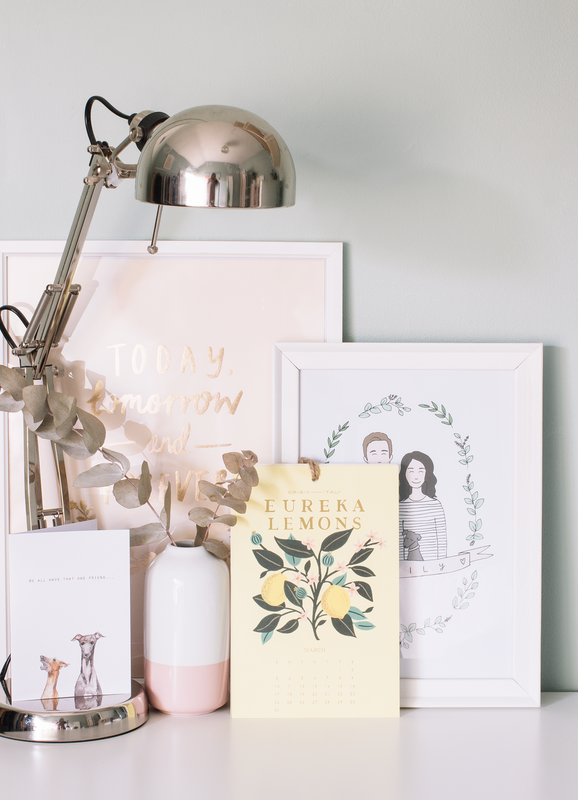 The urge for change got stronger and stronger, and after lots of scouring Pinterest and scrolling through Instagram, I finally settled on what I wanted and here is how I’ve refreshed my office just in time for Spring. 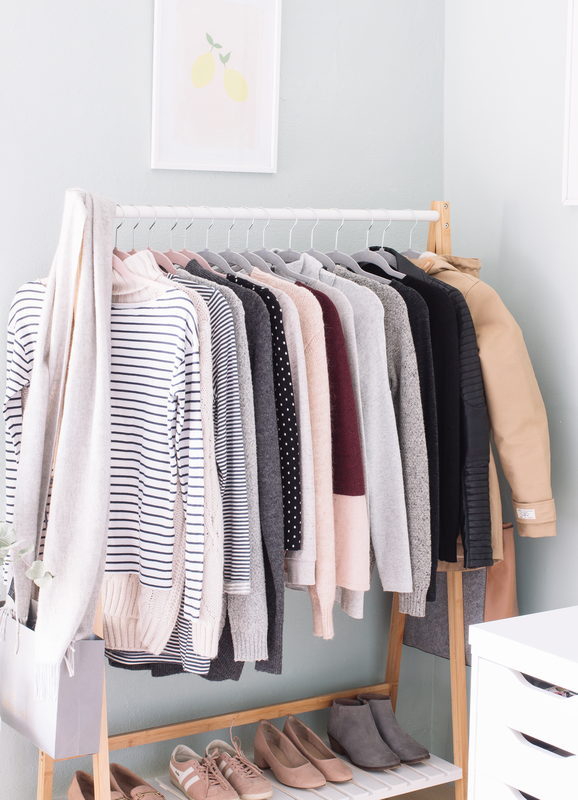 Get dressed, I mean if you’re not well and you still need to get some things ticked off your to-do list by all means stay in those sweatpants but generally get dressed. Have a proper lunch break and a cut off point from work. Don’t take your work to bed with you. Embrace working from home and the freedom that gives you, if you find yourself working best in the afternoon into the evening then do it. Don’t feel like you have to work 9-5 if that doesn’t work for you. Make sure you leave the house, it’s all too easy to get cooped up. Find something that works as background noise for you, especially if it’s just you in the house. For me, I thoroughly enjoy podcasts. Keep your space as clutter free as possible and don’t eat at your desk if you can help it! White walls are something that I’ve loved when it comes to interiors for years, and I never thought I’d stay from them, to be honest, but I’m glad I finally did. It sounds silly but it was a big step for me to stray away from the bright white and I had my doubts. I was worried that it might make the room look too dark or make it look smaller but it’s had the complete opposite effect and it’s brightened the space so much and made it feel much bigger. The colour I went for is a very light sage with a touch of mint green, it’s very fresh but it still feels grown up which is key for me as I’ve always had this fear of lighter colours might make a room look a little like child like. 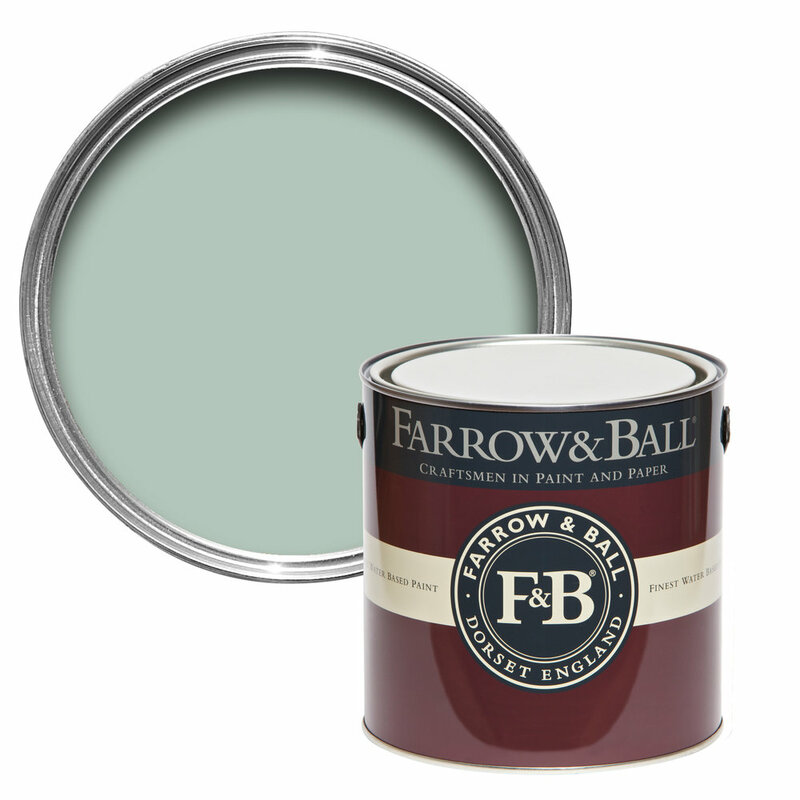 Teresa’s Green by Farrow & Ball: This is the colour that I chose for the walls and it’s beautiful. As you can see from the photographs that it changes quite a lot depending on the light. Sometimes it looks more mint, sometimes more sage and then it can be a little bluer. JYSK Wall Shelf: I’ve wanted some String shelves for a long time but right now my budget simply cannot stretch to them so these were a great option to get that type of style without the hefty price tag. As I didn’t love the black detailing we spray painted them white and it worked beautifully, you wouldn’t even know they were black before. However, these shelves feel very cheap and the wood isn’t very strong at all so they’re suitable for anything really heavy. IKEA Desk: I’ve kept my IKEA desk, but I have moved it back into the middle of the room and it’s really opened up the space a little more. I think I might purchase a new table top for it soon though as now I’ve decluttered the space a little I have a huge amount of room that I’m not using and could do with something a little slimmer possibly. BILLY Bookcase: We’ve got two IKEA Billy bookcases in our house and I’d got the really tall one in my office but when I moved everything around it looked far too large and obnoxious. So I’ve gone back to the shorter one and it still holds all my books as well as giving me room to display a few items on top too. These bookcases might not be the unique piece you can add to your space but they cannot be beaten for price and functionality. There are so many hacks you can do with them too!